We take a look at the big talking points from around the state and what lies ahead for the coming week. It was a huge performance on debut by the three-year-old gelding, heading straight to a BM78 (and against the older horses) for his first outing. There would have been plenty of options for Team Hawkes of where to start him, but the stable knew they had a good one on their hands and with the Magic Millions on their radar, the Saturday prizemoney was crucial for a possible Gold Coast trip. “It does take a special horse, but we knew we had one and that’s why we ran him yesterday in a BM78 race,” co-trainer Michael Hawkes told Sky Sports Radio. “That’s always been the plan from the get-go to run at the Magic Millions and hence that’s why we ran on our home track. Kapajack firmed into $ 26 for the Magic Millions Guineas following the win and has firmed again since, now sitting on the fourth line of betting with a host of horses at $ 15. Hawkes said the stable had taken a patient approach with the son of Lonhro. “He just needed time. He is a big, solid horse. We gelded him early, made a racehorse of him. A couple of recent provincial meetings have resulted in fill-ups for the punters. At Newcastle on Sunday, seven of the eight favourites saluted with Maid Marilyn the odd one out and she held favouritism right until the death when replaced by Loved One. It was a similar story at Wyong on Thursday, with six of the eight favourites saluting and a longest-priced winner of $ 5.50. The apprentice collected three winners for the week, two coming in the city. His ride aboard Southern Lad at Canterbury on Friday night was an absolute peach and those sort of performances will ensure opportunities in the city will continue to present themselves. Did W Pike catch the red eye and ride Southern Lad there at Canterbury? The fence, one off, three off ride around the apex of the bend by R Dolan was a thing of beauty. Good on him. The Joe Pride gelding has had a pretty consistent campaign including a couple of recent wins over 2400m, but the $ 5 equal favourite didn’t have a lot of interest in being at Rosehill on Saturday. Jay Ford had a hard time just keeping Tamarack in touch with the field before eventually coming in 14.5L off the winner. The $ 3.10 favourite on debut got put out of play when Avdulla attempted to take a gap at the start of the straight. While having been under pressure since the 600m, Avdulla was still confident his mount was going to place until the Smart Missile filly copped the interference. Andrew Adkins was slapped with a careless riding charge for his part in the incident. We’re set for an even longer Sydney spring with news filtering out on Monday of two new races to be added to the calendar. Both News Corp and Fairfax had the scoop with a formal announcement expected this week. It’s believed one of the races for sprinter-milers, to be held at the back end of the Sydney spring, will be worth around the $ 8 million mark with Fairfax’s Chris Roots telling RSN the funding could come from a new bet type offered by the TAB. You can’t blame Racing NSW’s reasoning for wanting high-profile races in October, with the earlier spring dates in competition with the footy codes. It will also be interesting to see whether the race will attract international entrants to Sydney. The Championships have failed to be a drawcard for internationals, due to the timing of the carnival, with the Dubai World Cup carnival held at the end of March. All shall be revealed at 10am on Wednesday. 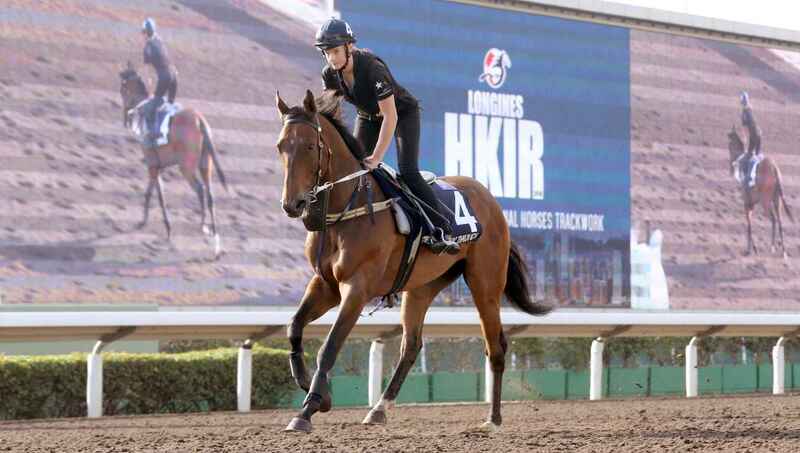 The current quarantine restrictions have prevented many Australian-trained horses from targeting the Hong Kong International Races and Comin’ Through will be the sole representative on Sunday. The five-year-old’s form tapered off during the spring after winning the Group Two Tramway first-up. He faces a stiff task in the Hong Kong Vase and is rated a $ 51 outsider in the field. with Beauty Generation the odds-on favourite.